Merely reading a Tarantino script beats watching most movies. 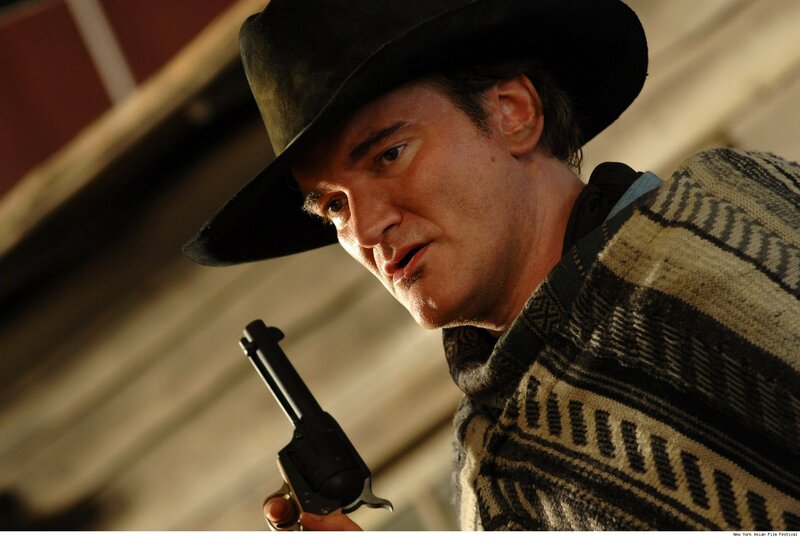 Reading a Tarantino script is a thrilling act, one that nearly always exceeds expectations. He might only be supposed to blow the bloody doors off, but then Tarantino — blessed, dyslexic, grammatically-challenged Tarantino — never quite made his peace with ‘supposed.’ Which is why well before his film starts shooting, he leaks the full script online, typos and all. As if to challenge us to eat it up, chew down every single spoiler, literally spell out exactly what to expect… And then he lights the words on fire and watches our all-knowing heads spin. The reading comes doused in the basest of temptation. You know reading the screenplay will let you in on every secret, and take away the element of surprise. Wouldn’t you rather just wait and be wowed on screen? You know you shouldn’t read it, right? Sure. I used to think that before I read Inglourious Basterds, and gasped at the audacity of that first scene, that mammoth twenty-three page opening conversation scene that had me breathless just reading it aloud and watching it unfold in my head. When I finally saw the scene several months later, it was like watching a spectacular novel adapted perfectly onto screen. The gasps were all in place, every single one of them. And they remain thus every time I watch the film. It helps that Tarantino is an electrifying writer, one whose narrative is made of both pulpy shock and highly effective storytelling. The dialogue is, of course, inimitably crackerjack, and the style so vividly visual you can’t help but picture it. It’s all immensely evocative, and while I’d like to believe years of awestruck gazing at Tarantino’s oeuvre would let us in on it, would let us picture the scene just as he’s going to show it to us, it really doesn’t. He’s still going to punch your senses right in the gut, knocking you out either with visuals or pace or improvisation or, often, with a staggeringly visceral choice of music. And maybe he just picks his songs at the end, filling in those aural blanks when everything else is in place, or maybe there are some cards even he likes to play close to his chest, but the script doesn’t give these away. All the script says is “Cue COOL music,” and lets the reading brain explode with possibility, just as it does when the camera moves away from the ear-slicing and lets us fill in our own horror. I urge those of you with an interest in cinema, in screenwriting and in Tarantino to read the Django Unchained script, available easily enough online with some smart Googling, for this Southern – a black cowboy film set in the South, which means its not a Western – may well be his most brutal and most important film. Or just a helluva hoot that earns Leonardo DiCaprio another Oscar nomination. Either way, Mister Tarantino, thank you – for the words that come before the images do. And here’s wishing you a Happy Birthday. Awesome Piece again! Quentin Tarantino deserves an Oscar simply for being really inventive!